In the run-up to 2019, OEMs (Original Equipment Manufacturers) face the challenge of preparing new equipment to comply with stricter emission controls. But what exactly does this mean for drainage contractors planning to buy new or replacement equipment? Stage V of the new EU emissions regulations for non-road mobile machinery (NRMM) were passed in 2016 and come into effect in 2019. The regulations are categorised based on the engine power rating and ignition type, with each category given limits for the output of carbon monoxide, nitrogen oxides and particulate matter. These standards are applicable to diesel engines from 0 to 56 kW and to all types of engines above 56 kW, therefore bringing in much more stringent regulations for a wider scope of engines. Although the onus is on OEMs to produce compliant engines, there’s a range of considerations for drainage contractors planning to replace equipment. One of the challenges facing the manufacturing industry will be to build equipment that is the same size and weight and, perhaps most importantly, price as their existing equipment. Engine size and weight will increase with the requirement to fit engines with selective catalytic reduction technology and diesel particulate filters. For contractors this may impact on the size of vehicle they need to transport equipment and the volume of fuel they use on a day-to-day basis. Another consideration is the introduction of low emission zones across major European cities. The London Mayor recently announced new standards to reduce pollution emissions from the construction industry in London. The new regulations for non-road mobile machinery come into effect in 2020 and will create the world's first 'Ultra Low Emission Zone'. NRMM Stage V regulations will apply to all sites in Greater London and contractors working within the zone will need to register all equipment to confirm that it is compliant. Engine emissions compliance can also be achieved by retrofitting engines with approved abatement technology. The retrofitting of exhaust post-treatment devices is a common procedure for heavy-duty off-road engines, such as generators or diggers, but generally not possible for compact machines used for tasks such as drain jetting. It’s not all bad news for buyers though. The regulations include a transition scheme that takes into account the time difference between the date of engine manufacture and the time it is on the market before being sold. This means contractors may be able to purchase existing equipment for a limited period after the regulations come into effect, though the ongoing spike in demand will probably lead to limited availability. 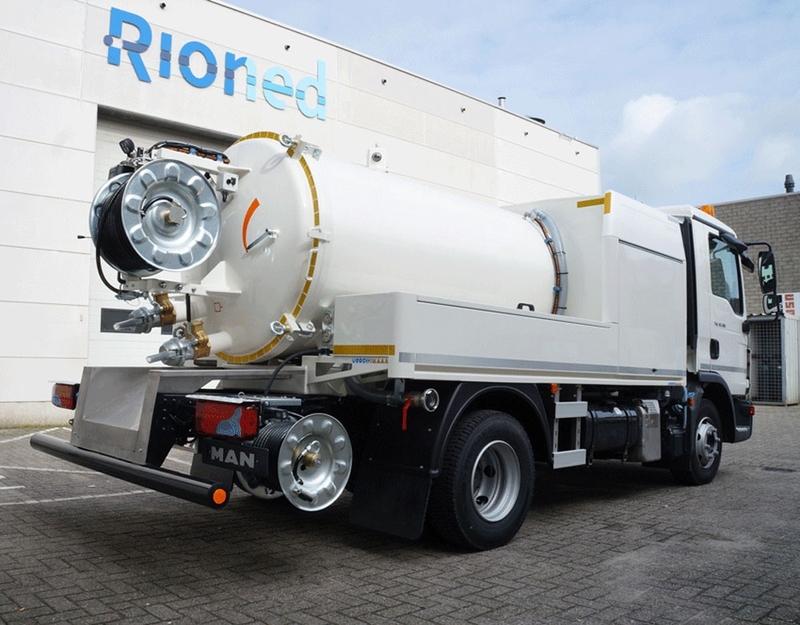 Drain and sewer cleaning equipment manufacturer Rioned has spent several years preparing for the new EU regulations and last year introduced the fully compliant ProfiJet T4 with a v48kW diesel engine. The company also produce machinery fitted with standard petrol engines including the CityJet Petrol that is available with a 37kW petrol engine (with a catalyst). 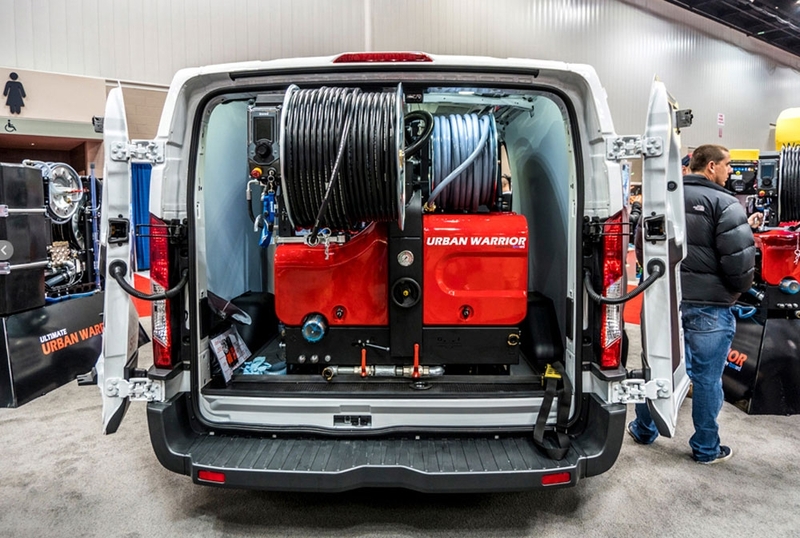 The Holland-based company has also developed two new van-pack jetting machines for sister company Spartan Tool and the North American market. Broadly based on Rioned’s ProfiJet and CityJet range, the Spartan branded Urban Warrior skid-mounted models have been built to comply with US emissions regulations, which are also almost identical to the Stage V emission standards. In the build-up to 2019 Rioned plan to unveil a range newly adapted equipment for the European market. It has long been a forerunner in the production of PTO (Power Take-off) technology that uses power from the vehicle engine to operate the pumps used in its jet/vac combination units. He explains that customers can expect to pay more for new equipment because the clean engines are significantly more expensive but says the biggest impact of new regulations will be felt by the machinery manufacturers who’ll have to adapt their machinery: ‘’Our engine manufacturer is working hard to develop new engines. Rioned machines are built very compactly, and don’t have the capacity for these engines, which tend to be much larger. The machinery needs to be re-designed.